On Thursday, March 14, residents of the SAD 41 communities of Atkinson, Brownville, LaGrange and Milo will head to their respective polls to vote on a $2.4 million energy infrastructure upgrade project for the Penquis Valley School in Milo. The project would update the 50-year-old steam heating system infrastructure -- converting from steam to hot water -- and make LED lighting upgrades and building weatherization improvements. The estimated net cost for the district is $744,143 to be paid over 20 years. MILO, Maine — Knowing their town planned to deorganize and they would be leaving SAD 41, Atkinson residents last year overwhelmingly voted against a $2.4 million project to improve heating and energy at the Penquis Valley School. Now they are being asked to vote in favor of the project as part of a deal to avoid more debt before their departure from the district is complete. The four SAD 41 communities voted down the 2018 referendum 161 to 111 with more than 70 percent of the “no” votes coming from Atkinson residents who wanted to avoid taking on new debt before leaving. A revised energy infrastructure upgrade project, which per an agreement between SAD 41 officials and the town will not result in any new debt for Atkinson now and after the town deorganizes at the end of June, will be voted on at the polls Thursday, March 14. 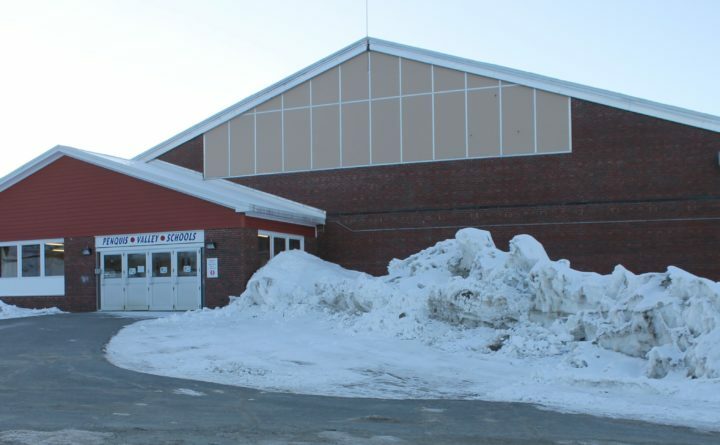 During a public hearing March 6 at the school, SAD 41 Board Chair Roberta Trefts reminded those present of how the previous project was voted down, in large part, due to the turnout in Atkinson. Last May residents of Brownville, LaGrange and Milo passed the question 106 to 42, but in Atkinson the referendum was turned down 114 to 5. Atkinson is scheduled to deorganize and join the Piscataquis County Unorganized Territory as of July 1. Had the project been approved last year the community would have been responsible for about 10.8 percent of the upgrade debt moving forward. As part of the Unorganized Territory, Atkinson students will head west to RSU 68/Foxcroft Academy in Dover-Foxcroft. In December the SAD 41 directors approved an amendment to the withdrawal agreement with Atkinson in which the town would not be liable for new debt approved prior to June 30, 2019, in exchange for an agreement by Atkinson that its selectmen will strongly recommend a “yes” vote on the project. Atkinson residents will be able to vote in SAD 41 referendums up until the town is no longer part of the district. “Atkinson traditionally paid about 10.8 percent of costs. Their 10.8 percent of the project would be absorbed by the other three towns based upon the amendment to withdrawal agreement. However, Atkinson will make a one-time payment of $275,000 to SAD 41 prior to July 1 withdrawal,” Assistant Superintendent Darcie Fournier said. “We are one break away from not being able to have school here, so we really need this vote,” Trefts said. Jim Lucy, senior business consultant for Honeywell, which has serviced SAD 41 facilities for multiple decades, provided an overview of the Penquis Valley energy infrastructure upgrade project by saying there are three objectives. The first is to update the steam heating system infrastructure that is beyond its useful life, to improve reliability, comfort, indoor air quality and safety. The other objectives are to reduce annual energy and operating costs, and reduce future building repair costs. “We have a $2.4 million project. The majority of that cost is changing a steam-based system to a hot water-based system,” Lucy said. The gross proposed project cost is $2,414,923, with a little more than $2.1 million for the steam to hot water system conversion, another $190,000 is for LED lighting upgrades and an additional is for $34,700 for building weatherization improvements. The project would be financed under a 20-year bond through the Maine Municipal Bond Bank. The estimated annual bond cost, fixed for two decades starting with the 2020-21 fiscal year, is $177,694, but various measures would be in place to reduce the costs. “When you add it all up the first year project cost is $61,953,” Lucy said. This amount would become part of the 2019-20 academic year budget. He said SAD 41’s estimated total net cost, after the various savings measures such as reduced energy expenditures and a reduction in the Honeywell contract, over 20 years would be $744,143. The annual portion of the $744,143 to be paid by the district would vary year by year. Should the referendum pass then the loan and contract with Honeywell would both be executed Wednesday, March 27. Construction would start June 7 with substantial completion done by Sept. 27 and the project sign off Nov. 29. March 14 polling hours are Atkinson 10 a.m. to 2 p.m., Brownville 9 a.m. to 6 p.m., LaGrange 10 a.m. to 6 p.m. and Milo 10 a.m. to 8 p.m.